Disclosure: I am short RELV. Here are some the reasons why. I believe we are going back to somewhere around $1.35 -- not just because that is where the stock had previously been trading, and not just because that is near book value. But because the hype that exploded the stock price does not compensate for the poor fundamentals. 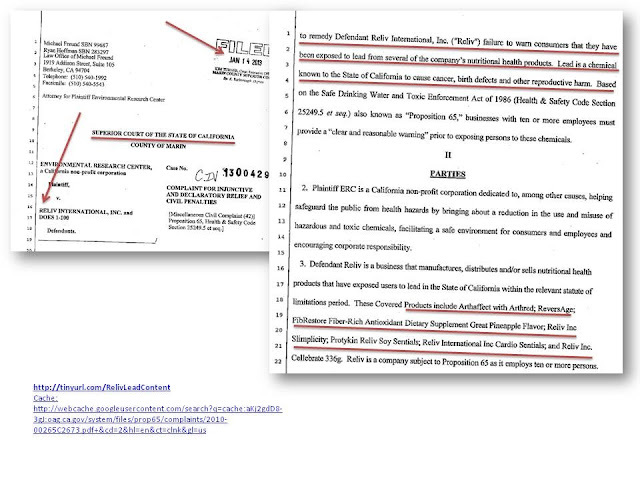 And by the way, was the recent press release timed to divert attention from the California litigation? 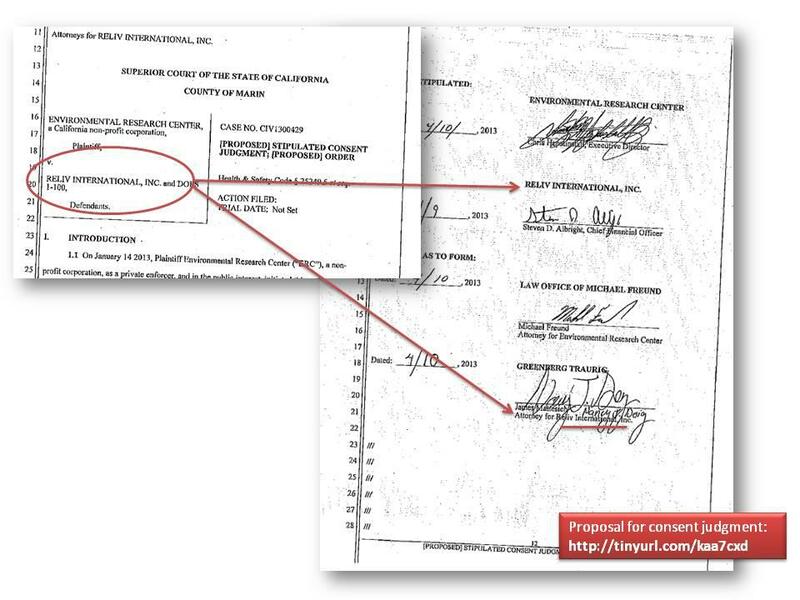 Civil penalties must be paid "pursuant to Health & Safety Code Section 25249.7(b)(1)"
A portion of the above penalty is to be paid to the office of Environmental Hazard Assessment. 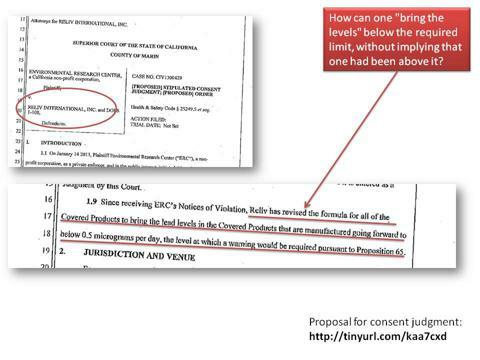 How can one bring levels below a required limit without implying that one had been above it? 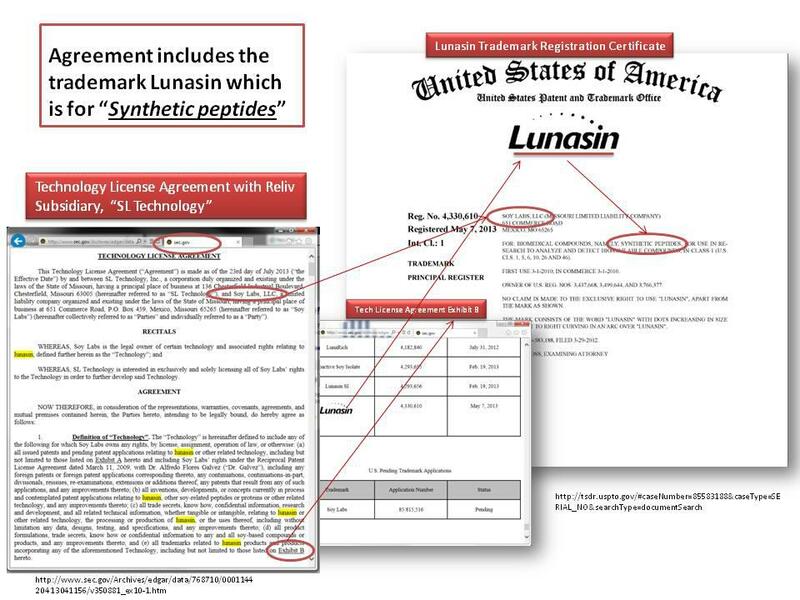 And what was the big deal with the press release announcing "exclusive rights" to Lunasin? 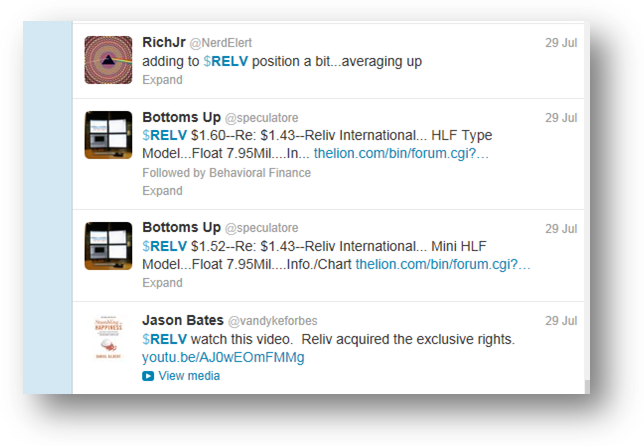 Reliv's price exploded. Ryan Montgomery, Reliv president claimed, "For the first time we own an ingredient in its entirety, from the extraction process to the patented mechanisms of action within the body. And lunasin isn't just any ingredient; it's the world's first epigenetic superfood." ~ Press Release: "Reliv Acquires Exclusive Rights to 'Superfood' Lunasin"
Add to all of this Reliv's disclosure that some of its products contain genetically modified organisms and one wonders what kind of reaction the distributors will have when the news gets out. Disclosure: I am short RELIV' INTERNATIONAL, INC., (RELV) NOTE: Market Cap is only $35 Million & shares have been difficult to borrow. PR hype just days before ugly earnings report. 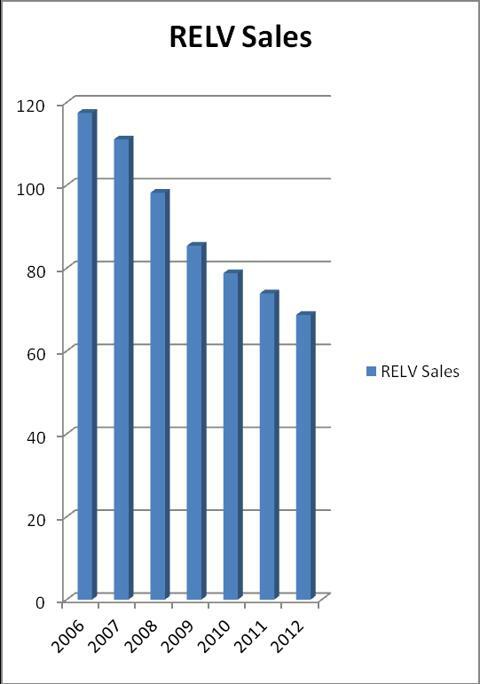 Multi-year decreases in both sales and distributor count. RELIV' INTERNATIONAL, INC's share price exploded last week. What happened? There is no way to know for sure, but there was some hype just before the price spike. 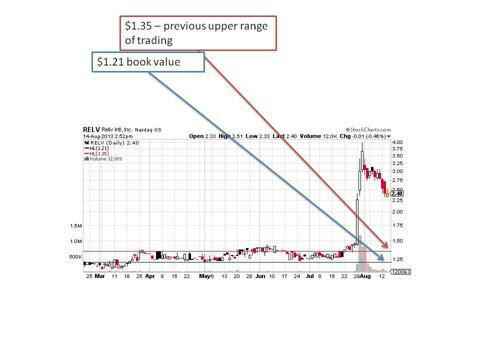 First, RELIV announced the acquisition of "Exclusive Rights to [the] 'Superfood' Lunasin" (For "lunasin" see Wikipedia and Lunasin.com) and second, comparisons were drawn in cyberspace with Herbalife LTD (HLF), which also had a recent run up in price. Like Herbalife, Reliv is a nutrition-centered multi-level marketing organization, making use of independent distributors. However, serious comparisons with Herbalife would be difficult. 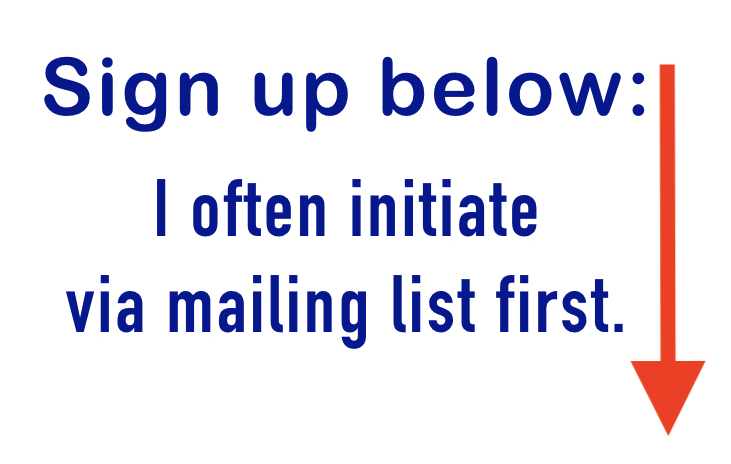 A distributor's prospects grow with a growing network … and shrink with a shrinking network. 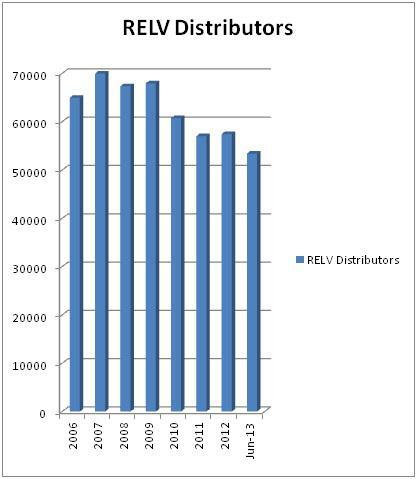 Herbalife's sales are growing, while Reliv's sales have been shrinking for years..
RELIV's distributor base is also shrinking. Those June '13 numbers were released just days after Reliv's PR pumped up the stock price. 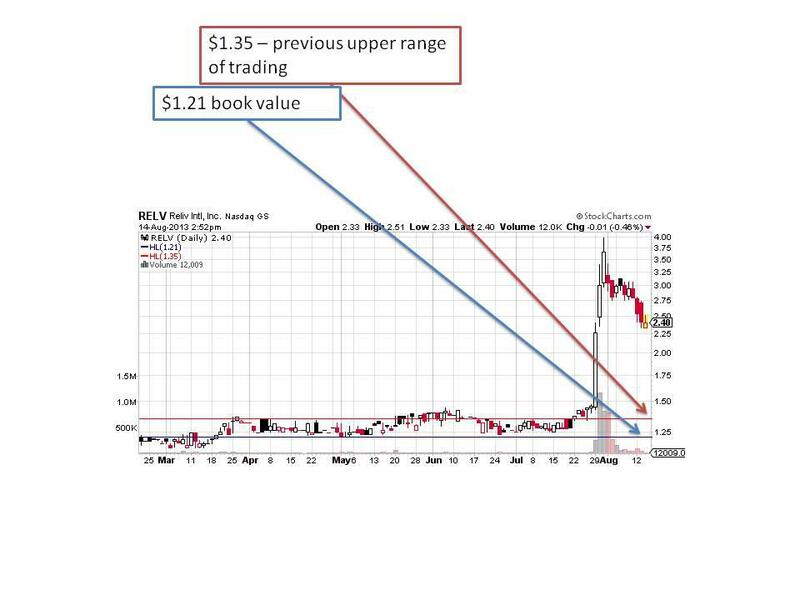 It seemed that investors reacted to the news of the "exclusive rights" as if, 1) Reliv had a blockbuster product and 2) the "superfood" was something entirely new. In reality, Reliv had already been trying to sell its lunasin-based product, LunaRich, for almost a year and a half now. The agreement is new, not the attempt to market the product. There have been other attempts to market Lunasin. Reliv's recent agreement is with Soy Labs LLC. 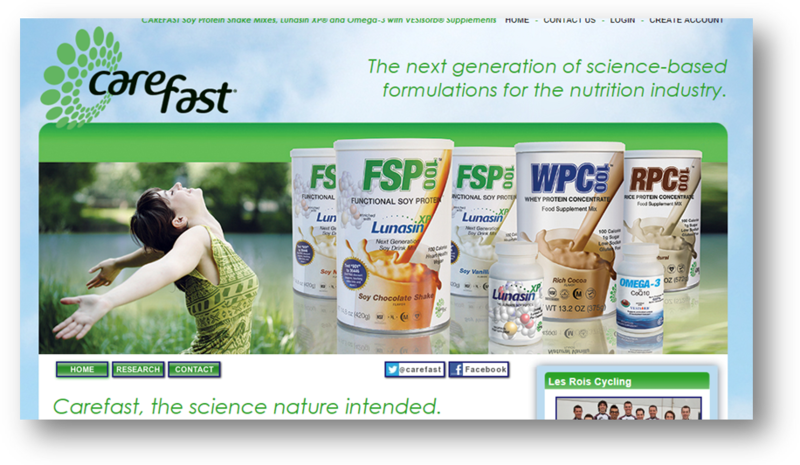 Here's a 2009 promotion of Soy Lab's Lunasin:www.nutraingredients-usa.com. I found a Carefast product with Lunasin for $17 at Amazon.com and one of Reliv'sfor $55 on Ebay. If Carefast's product has not been a blockbuster, why would I think that Reliv's might be? "Net sales for the quarter were $15.4 million, an 8.1 percent decrease from the second quarter last year." Just what does Reliv exclusively own? 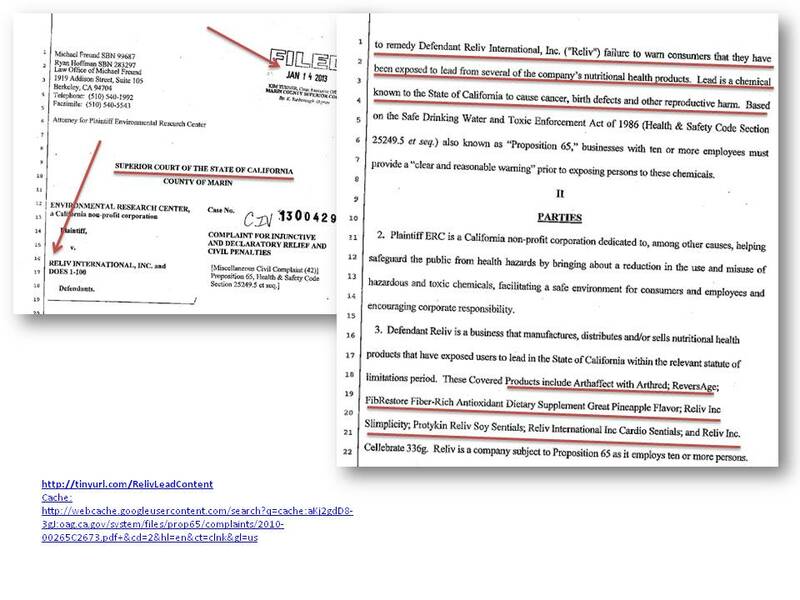 "Reliv Acquires Exclusive Rights to 'Superfood' Lunasin"
Is this the ingredient (and technology) that Reliv is claiming exclusive rights to? A syntheticpeptide? A later sentence in the above SEC passage is a bit humorous. "Compliance with regulatory requirements in this area should not have a material adverse effect on our business." Of course, it would be hard to imagine "compliance" as adverse. 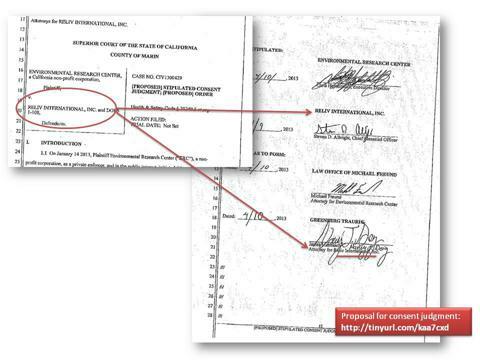 I think investors are more concerned with any possible noncompliance, not to mention any consumer/distributor backlash if Reliv's SEC filed statements became widely known. 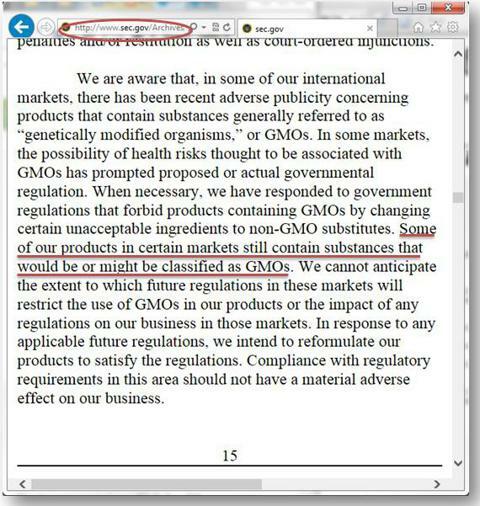 Would those have a "materially adverse effect" ….? Or did Reliv only mean, "becoming compliant," which could mean that they were not currently compliant, which would not be a good thing at all. But then again, in the health food business even compliance would have an adverse effect - if it meant being OK with a GMO in the product mix just because it was legal. Poor sales or not, healthy or not, synthetic or not, GMO or not, wasn't this all supposed to feel "natural"? Disclosure: I am short RELV.